"I remember ... when we had six months of orders. Now we have six days." 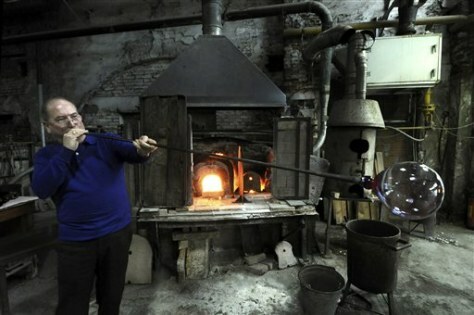 Gianfranco Albertini, owner of the Vetrerie La Fenice, demonstrates how to blow glass in front of a furnace at his workshop in Murano.